The first holiday season after a child learns The Mysterious, Maybe Awful TRUTH about Santa can be hard. My son asked me soon after Halloween, and did not take the news well. The next few months were rough in our family. As a parent, I felt like a failure. I searched for resources, but I couldn't find what I was looking for. With my daughter's enlightenment around the corner, I wanted to do better when her time came. Here's what I learned about how to talk to your child about Santa, The Tooth Fairy, and the Easter Bunny. Kids react in different ways, but having a plan, and anticipating their feelings can make a big difference. Why is the transition from "believer" to "informed" so hard? The new knowledge is sad. Heartbreaking, in fact. Suddenly, they've "lost" one of the most treasured and anticipated aspects of Christmas - a visit from the big guy. The elf's magic fizzles. The anticipation flops. The path is uncertain. There's no known "next step" for kids or their parents. The jig is up, and without a little creativity, the holiday season can feel a little blah. It generates more questions. Often, once one magical being falls, the others crash down behind it. "So, is everything like this?" my own son said when we had THE TALK. The Tooth Fairy? The Easter Bunny? Jesus? Kids may feel angry and hurt. Some kids feel lied to - by their parents, by extended family, and by society as a whole. Other kids feel they were played the fool. They can't even talk about it. Conscientious grownups should advise their child to not talk about what they've learned with other kids. But this can leave the child feeling isolated, unable to process their new information. Or, kids who don't comprehend the importance of guarding holiday secrets can suddenly become the font of all knowledge, spilling the beans to any child who will listen. While there's no "right" way or "wrong" time or way to handle THE TALK, there are some things that can help the transition from "believer" to "big kid." Prepare ahead. If your little ones haven't asked the question yet, now is the time to think about what you'll say. If they see you flustered, they might feel as though something is wrong. Click the image to download a free printable Secretkeeper oath. Be available, and be truthful. Find a time, away from younger kids who aren't in-the-know, to answer questions your child may have. Assure them that you will be truthful, and follow through on that promise. Start a new tradition. What's something else you could do with that elf? Would your child like to stuff a stocking for you this year? Or, give them a book so they can activate their induction into The Society of Seasonal Secretkeepers. After finding a void in resources for this transition, I decided to create something new just for these kids. 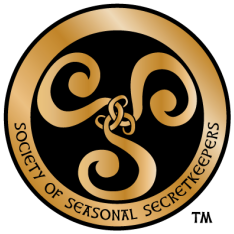 Together with my husband, a team of moms going through the same stage, and a family counselor, I wrote The Society of Seasonal Secretkeepers Field Guide: Ancient Secrets for Modern Kids. It's a special gift set for kids, designed to be completed together with grown-ups in their home. ​We drew on themes our kids love - mysterious undercover agents, magical ancient secrets, and fun, but meaningful tasks to help them achieve the ranking of Secret Agent. We included a section to record and understand family traditions, and a set of secret missions. We included creative thinking and writing exercises, places to draw, a personality test, and more. To make the moment feel official, we designed and had minted a beautiful medallion. It can be hung on the Christmas tree, worn as a necklace, displayed on the wall, or tucked away in a treasure box. Minted of heirloom-quality metal, it's created to last, and be passed on when your child has kids of their own. Fairy Tales are for Grown-ups Too! The older I get, the more I believe that magic is all around. A shift in beliefs doesn't have to be a sad thing. Part of growing up is reevaluating how we define "impossible." When a child stops believing in Santa Claus, or when they catch the Tooth Fairy red-handed, that moment presents an opportunity to instill a sense of personal strength in that child. Talking to your child about Santa. Learning about undercover Santa can be fun! 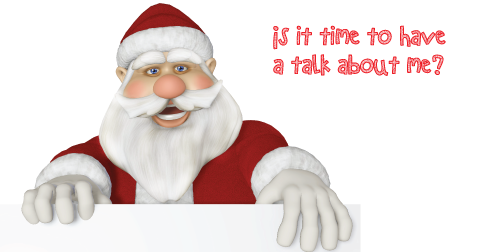 Have you had a heart-to-heart with your kids about Santa Claus this year? This task can be such a struggle for parents (and often the kids!). As we face our questioning, sometimes heartbroken children, we see their childhood slipping away. Not only that, but the instruction to keep this new information secret falls outside our normal instructions. We want to be honest, we want our kids to be honest, yet the subject of seasonal secrets falls into a gray area. 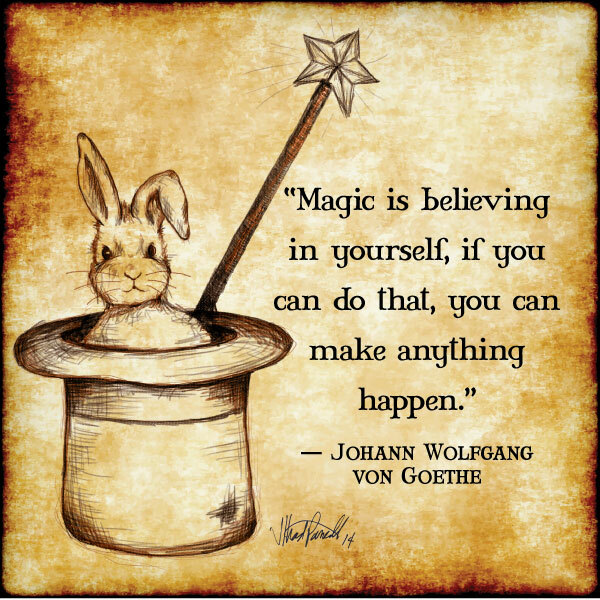 Download a free, printable oath to help your child understand the importance of maintaining the magic! Santa is real. He really is. Maybe not in the way we once thought, but the tradition of Santa is alive and thriving. Millions of kids wake up Christmas morning to find gifts left in Santa’s name. There’s something very real about that! It's time for them to learn about the amazing power of kindness, generosity and goodwill. Here’s the really exciting part: The magic isn’t gone. In fact, it’s as if your child has been given a powerful magic wand. Now they can be part of creating the wonder for younger children. The traditions aren’t over; we can continue to believe. Once a child knows that the collective effort of grown-ups goes into creating a magical world, they can step up to the plate and be part of that collective effort. Congratulate your child. They're becoming a little bit more grown-up. This can be an exciting rite of passage! Explain that as we mature, we’re entrusted with sensitive information, and now he or she will need to guard the magic for their friends. Make a contract with your child. Help him or her understand the importance of keeping the secret and maintaining the magic for others. Download a contract here. Give your child a job. Nothing eases the sting of a blow like feeling a new sense of purpose. If you have younger children, let them help out with the magical preparation around the house. Have your child deliver a plate of cookies to an elderly neighbor - in the name of Santa Claus. Ask your child for ideas - he or she will feel proud and more responsible if included in the decision making! Today, it's easy to take modern day working rights for granted. Remember why we celebrate Labor Day, and recognize how the US Labor Movement made today's workplace better. Think of something your workplace provides you that is beyond what is mandated by law. Express your appreciation for this perk, courtesy or condition. Did your boss let you go home early for the day on Friday? Send them an email letting them know how much you appreciated your extra hours off. Or maybe you ARE the boss. Look around at all you've accomplished. Give yourself a pat on the back - and take a few extra minutes this week to thank your employees. Stay-home moms, your work is endless, tireless, and goes largely unnoticed. Schedule a few free minutes for yourself this week and do something you really want to do. You deserve it! 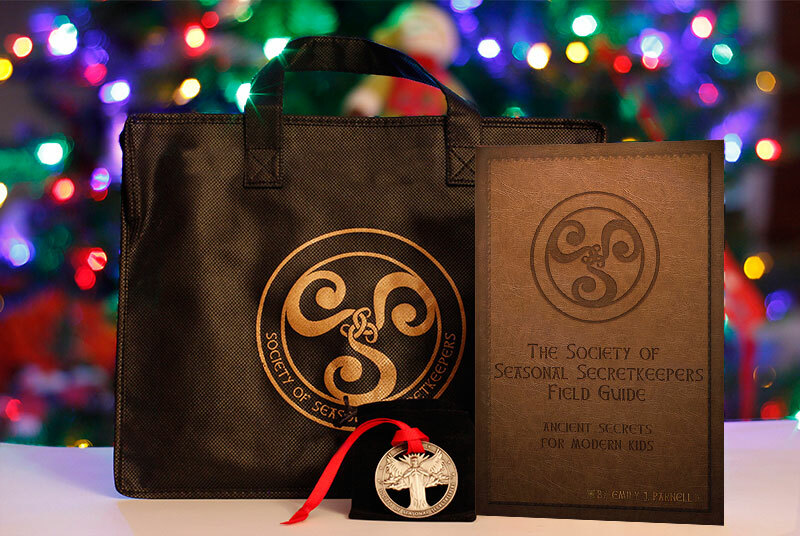 Find out more about the Society of Seasonal Secret Keepers, a project for kids who begin asking the hard questions about Santa, the Bunny, and the Fairy. Right now, we could use your help as we prepare to launch.